It seems like only yesterday VBS 2014 was just a calendar item off in the distant future. 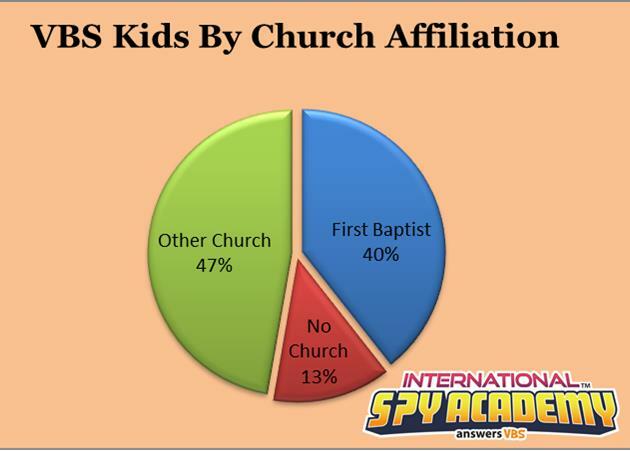 Now after five days of God glorifying craziness, FBCE’s International Spy Academy VBS is at an end. As I reflect back, I happy to report that VBS 2014 was (by the grace of God) a resounding success! Admittedly, not everything was easy. FBCE encountered some struggles located around the registration tables, the pickup zones, and occasionally in our very coolly decorated classrooms. We even had to temporarily dismiss a few Truth Force Agents. 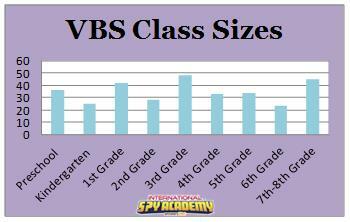 Lord willing, we (especially me, your children’s pastor) hope to learn from our struggles and be even better prepared for VBS 2015! What doesn’t kill you makes you stronger! And now that all the posters are down and the lights have been turned off, I can confidently say FBCE effectively ministered to 320 children throughout the week, having almost 200 kids on campus each night. Everything from the meals, to games, to missions, to the buses transporting 66 kids went great – albeit a little bonkers at times! Every child left healthy and happy, raving about their time at FBCE. More importantly, all of these children left aware of the Gospel of God! Even the agents who got sent home for misbehaving were confronted with their need for a Savior! They learned firsthand that sin brings sorrow – the immediate sorrow of going home! But they also were presented with Christ who gives the freedom to overcome sin! But the greatest news is that we have had children repent and believe on the Lord Jesus Christ this week! God has been good to FBCE! 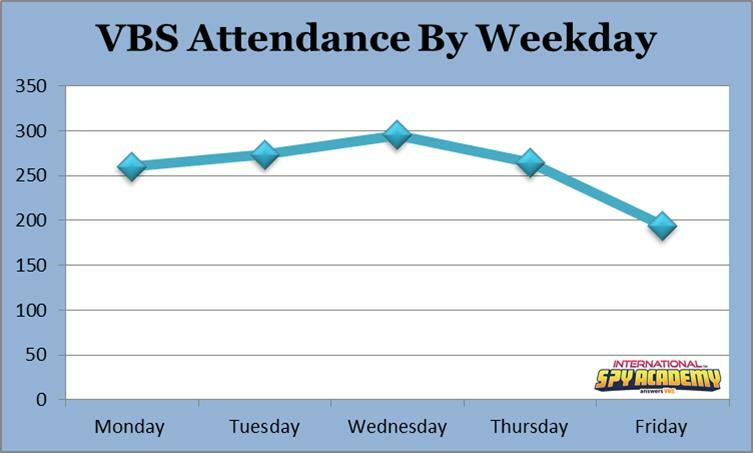 As we all head home for some well-deserved R&R, I wish to thank each and every one of the over 130 people who worked, sacrificed, and faithfully shared Christ to make VBS 2014 a God glorifying success! I especially wish to thank Darla Faulk, Joy Quinones, and Joe Daniel for their insights, support, and endless hours of hard work! FBCE could not have succeeded without you! Lastly, I wish to thank the staff at Answers In Genesis for creating another wonderful VBS curriculum that faithfully proclaimed Christ! You have been a great encouragement to FBCE! VBS 2015 here we come!! !